These days content is king when it comes to online marketing. In practice this means that the more content you have online the better, but of course it has to be relevant and useful content to your readers. The most recent thinking however, has concluded that ‘great content is not enough’. In fact, 64% of marketers feel that they don’t use content effectively. If audiences aren’t finding your content or sharing it, then there really is little point investing hours in crafting the perfect blog post. The real key, is how you distribute your great content to make sure it gets to the right people, at the right time, in the right way. That’s where social media comes in. Here are our top tips to use social media effectively to amplify your content and ensure it is getting to your audience. If you’ve invested in developing a great, audience-focussed, relevant piece of content you need to maximise the benefit you get from it. Don’t just put it online, distribute it through your social media networks. Draft an intriguing and engaging hook and post the link to drive traffic back through to your website. Make it second nature to automatically share content across different platforms whenever you have something new to say. You shouldn’t even have to consciously think about it, amplifying by using your in-house social distribution channels should be par for the course. A good example of how this can work in practice can be seen with the posts from healthcare company Hidden Hearing on Facebook. By posting relevant links to news articles, online polls and You Tube videos that will resonate with their customers, companies are successfully encouraging their users to like and share. This is an invaluable marketing tool simply because there is nothing more powerful for a product or service than peer-to-peer communication. If you hear something from a friend, it’s going to demand much more of your attention and trust than if it comes direct from a company. For maximum impact you need to tailor what you’re posting for different types of social media. This is something that dental equipment firm, Takara Belmont, is doing well to build followers and likes. What you post on Twitter needs to be short and sweet, punchy, and easy to digest. With Facebook you have more room to play with and photos work much more effectively. It’s easier for people to view visuals on Facebook than it is on Twitter and this also applies for Google+. If you’re posting something on LinkedIn, remember that this is a professional environment where a more in-depth post pulling an interesting snippet from the content itself might work best. 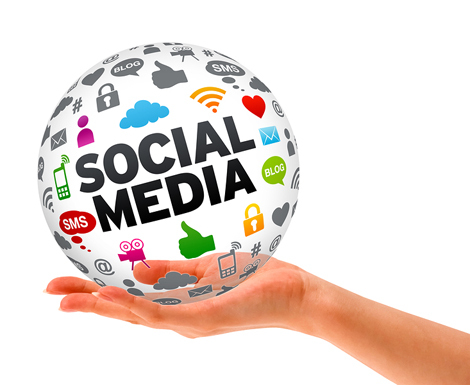 Understand the different social media you’re using and tailor what you’re doing accordingly. If you get that right, it’s much more likely to be viewed, shared, and lead to referrals back to your site. If you’ve got budget available, you might want to invest in some targeted advertising on social media sites to push out your content to key audiences. Remember that you can usually closely control the amount you’re spending, and if something isn’t working respond quickly and change or pull it before you waste any more time. Great article, but I’ve found you usually don’t need to worry about advertising so much if you use social media right.